Brad Rosley, CFP, CFS is founder and President of FFG and has been providing financial solutions to his clients since 1986. FFG is a fee-based firm, meaning that it charges a fee for financial planning and investment advisory services. As a Certified Financial Planner, Brad has consistently provided his clients a well-rounded, objective prospective on financial issues. The CFP mark is the most highly recognized designation in the financial planning industry. 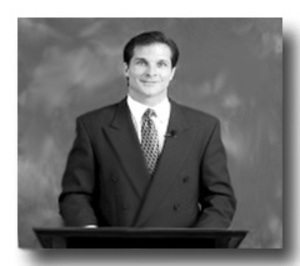 His first book, Brad Rosley on Educated Investing was published in 2001. Brad, has had several articles published concerning investment and insurance planning strategies and has been the feature speaker at many financial planning seminars. In 2008, Brad was honored by being selected as the President Elect for the Financial Planning Association of Illinois. His mission is simple, " I strive to build relationships with people that have integrity and love their families. The most important ingredient in every relationship is trust. I help create that by treating each client’s account the way I would my own family’s!"